The buzz around Google Maps in Augmented Reality just got a fresh lease of life. David Pierce of The Wall Street Journal got his hands on the unreleased, yet-to-be-tested version of the feature and was able to preview it out in the real world. Pierce explains that a simple tap on the “Star AR” button placed on the home page of the Google Maps app will activate AR mode. 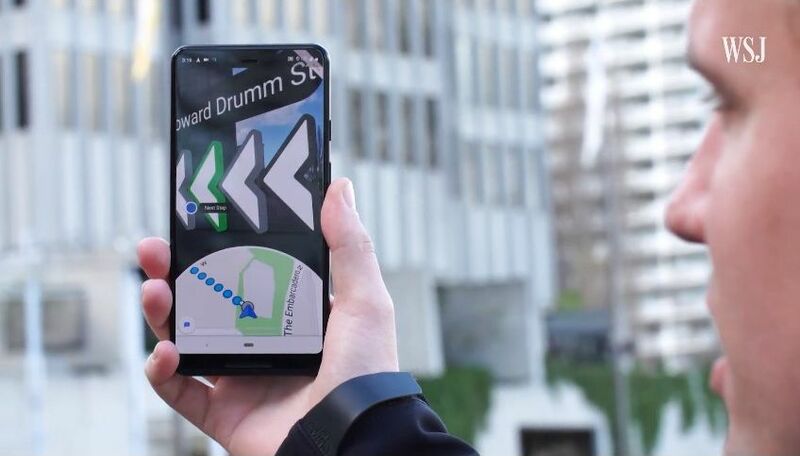 The mode will switch on the phone’s camera, and superimposed on the camera screen will be Google’s directions and instructions to take the user to his destination. Once the feature is switched on, the app requests the user to let the phone camera capture more of the user’s surroundings — by moving the phone around. Once the app is able to determine the user’s location, Google’s interface will spring into gear, drawing arrows and other things on the screen to guide you through. Before long though, the app forces the user to discontinue using AR mode by requesting to switch it off. If the user refuses to comply, the app darkens the phone screen considerably. This has most probably been added as a precautionary measure, not only to save the phone from excess battery drain but also to prevent the user from navigating real-life traffic with his eyes on his phone- a potentially fatal situation. Presently, AR mode’s full potential will only be unleashed if it is paired up with Google Glass (how unfortunate). Otherwise, its functionality is limited to helping users make sense of complicated routes and trajectories from their pinpoint location. In a span of one year, Google has gone from unveiling AR mode (at last year’s Google I/O) to testing the feature out with a limited number of reviewers that go by the name Local Guides. Given the fact that testing is one of the final stages before the product is released, we reckon the release date is not too far, even though Google is yet to announce an official date for the same.